The new Porsche 911 is the iconic, show-stopping sports car you can’t take your eyes off of. Turn every road trip into an adrenaline-pumping adventure in the new Porsche 911. This sleek, sporty coupe is an iconic showstopper that charges onto the scene with a wide stance, sloping rear roofline, and round Bi-Xenon headlights. Inside, you’ll discover an interior that gives a masterclass in premium luxury, offering genuine leather, heated sport seats, and an ascending center console crafted with performance driving in mind. Whether you’re meeting business clients in Irondequoit, racing along the back roads to Webster, or meeting friends in Fairport, the Porsche 911 always leaves a lasting impression. 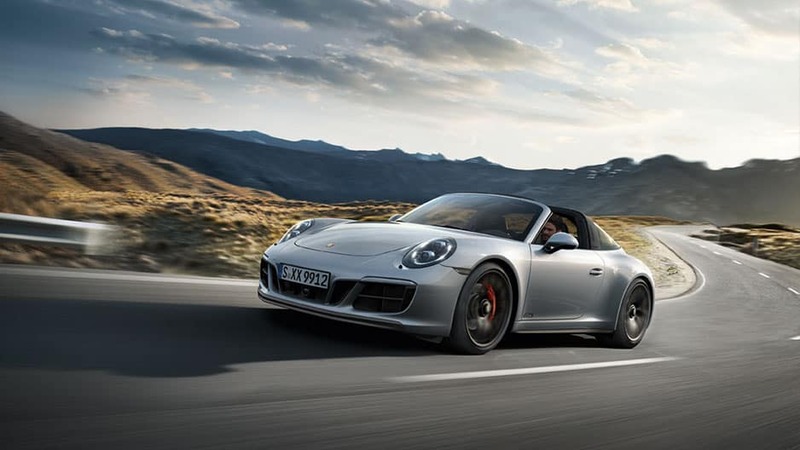 The secret to the Porsche 911’s lasting appeal is in its powerful engines that range from a 370-horsepower 3.0-liter engine to a 700-horsepower 3.8-liter flat-six and rocket this innovative coupe to 60 in under five seconds. Factor in the Porsche Stability Management system, and the 911 feels at home tearing up the racetrack and cruising around downtown. Don’t just take our word for it, though. 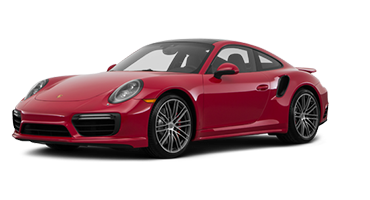 Schedule a test drive of the new Porsche 911 today with Porsche Rochester. Even at a distance, the new Porsche 911 is unmistakable with its sloping roofline, bulging round headlights, 19-inch wheels, and wide stance. Wherever the road takes you, the star power of this iconic vehicle is palpable. For over 50 years, the Porsche 911 has been turning heads with its sporty design, and the newest model is no exception. The 911 has undeniable curb appeal with a wide stance, sloping rear roofline, and tapered side windows that combine into a sports car that looks at home on and off the racetrack. The new Porsche 911 features Bi-Xenon Headlights that cast bright light farther down the road than traditional halogen bulbs. And to add to the classic sports car aesthetic, they’re housed in round, bulging casings integrated into the aerodynamic front-end. Choose how you spin in the new Porsche 911 with a choice between six stellar wheel options. Whichever you choose, you’ll have a sports car that looks stunning, even at a standstill. Give the vehicles traveling behind you something fun to look at, like the dual-tube tailpipes, available in chrome or black. It’s just one more way the Porsche 911 embraces its sports car heritage. Make the new Porsche 911 yours, with 13 standout color options. If you don’t see a color you like, you can have a custom color made instead, crafting a ride you can call your own. Porsche designed the new 911 with superior comfort and performance driving in mind, and this is clear with its sport seats, two-zone climate control, and premium luxury materials. Whether you’re tearing up a racetrack or cruising through downtown, the 911 ensures you arrive in unquestionable style. Let high-end quality surround you in the new Porsche 911. 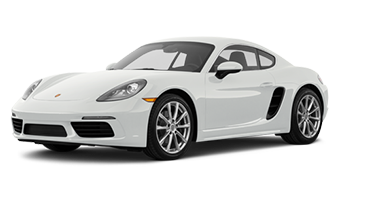 Porsche designed this sporty coupe’s cabin with the driver in mind, with an ascending center console, premium leather materials, and a sculpted dashboard that houses five round instrument panels. The new Porsche 911 features comfortable sport seats that offer superior support during performance driving. Kick it to the next level with the optional heated and ventilated seats that provide an extra level of comfort on cold or hot days. 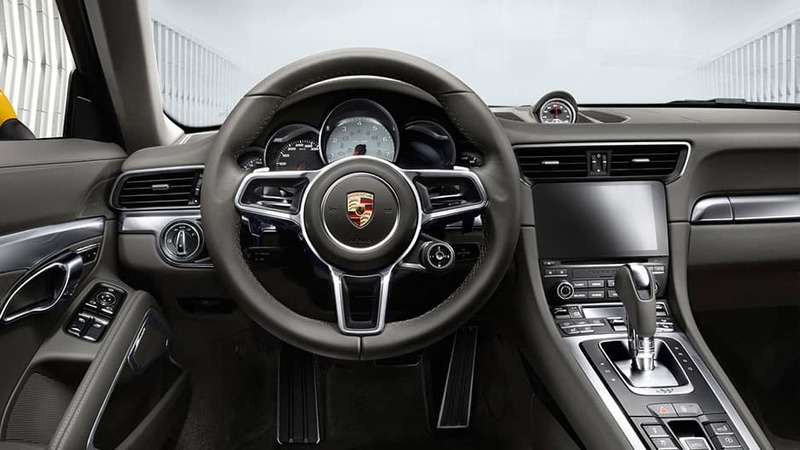 End arguments over the temperature inside the 911 with two-zone automatic climate control. This system allows you and your passenger to choose individual temperature settings for your separate areas, so everyone rides comfortably. Let a little sun in on your next drive in the Porsche 911 with the available slide and tilt power sunroof. With the press of a button, the sunroof tilts up and slides back, opening the 911’s cabin to the sky above. Opt for the Porsche 911’s available GT sport steering wheel for a more dynamic driving experience. This steering wheel is smaller in diameter, and sports the Porsche logo right in the center. Stay connected on every drive in the new Porsche 911, thanks to the wide array of advanced technology features. Sync your mobile device to the Porsche Communication Management system, choose your favorite playlist, and head out on your next journey. Standard on the Porsche 911, the Porsche Communication Management system is your source of infotainment on the road. Connect your mobile device via Bluetooth® or USB port and have instant access to your favorite apps via the high-resolution touchscreen. Opt for the available Burmester® High-End Surround Sound system and bring the concert on the road with you. The sound system features 12 loudspeakers, and an active subwoofer, so crystal-clear audio surrounds you on every drive in the Porsche 911. With the Porsche 911’s Connect Plus module, you’ll have LTE Wi-Fi no matter where the road takes you. Stay up-to-date with important business clients or check your social media without having to using your mobile data. Access important vehicle data and remotely control certain functions right from your smartphone or Apple Watch® with the Porsche Car Connect App. Leave your key in your pocket with the Porsche 911’s optional Entry and Drive. This system allows you to open the door and start the engine with the push of a button as long as you have your key fob on you. Safety never falls to the wayside in the new Porsche 911, thanks to a plethora of safety technologies designed to help you detect and prevent accidents before they occur. Travel anywhere secure in knowing systems like Lane Change Assist and Adaptive Cruise Control are watching out for you. The new Porsche 911 is prepared for the unexpected with its advanced airbag technology that includes full-size driver and front passenger airbags that inflate in two stages, relative to the severity and type of crash. 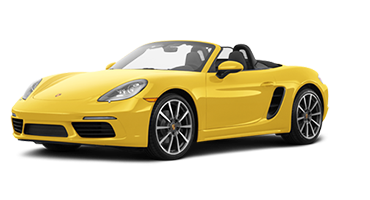 The Porsche 911 Convertible comes equipped with a roll-over protection system that features two spring-loaded roll-over bars, which deploy within fractions of a second if a potential roll-over is detected. This available feature uses radar sensors to detect vehicles ahead of the Porsche 911 and adjusts the cruising speed to maintain a set distance from the vehicle ahead of you. Once that vehicle is no longer detected, it automatically returns to the original cruising speed. Lane Change Alert uses radar technology to monitor the Porsche 911’s blind spots. If a vehicle enters one of these blind spots, the system will alert you with a visual warning on the corresponding side-view mirror, so you can make lane changes safely. Take the stress out of parallel parking in the new Porsche 911 with its standard reversing camera and ParkAssist technology. The camera shows a live feed of the area behind you on the display screen while ParkAssist uses radar technology to alert you when there are obstacles detected behind you. 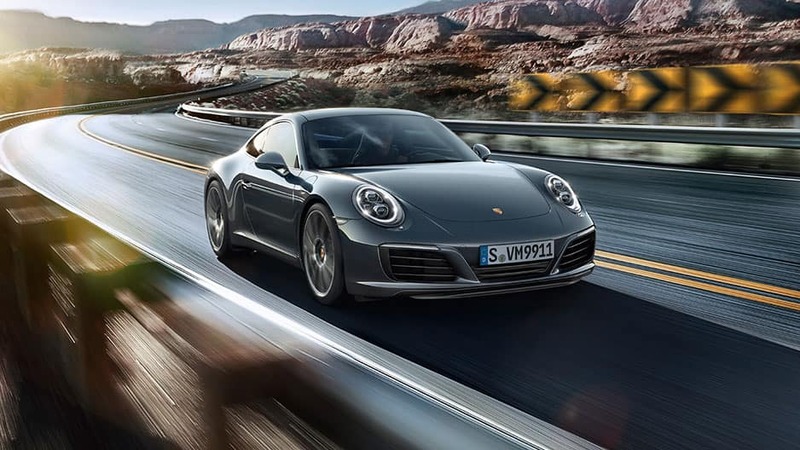 Whether you’re tearing up the racetrack or meeting with business clients, the new Porsche 911 has the power and handling to impress. 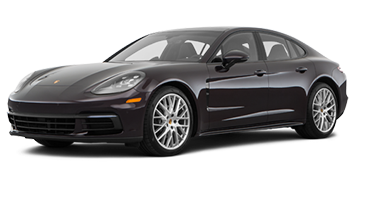 Combining a powerful flat-six engine with the optimized Porsche Doppelkupplung transmission, you’ll enjoy a racecar like experience on every drive. 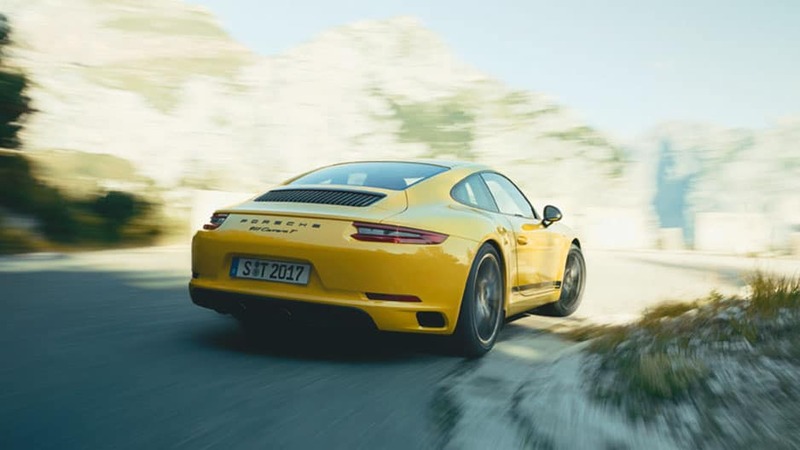 The source of the new Porsche 911’s thrilling power is its various engines, such as the 3.0-liter six-cylinder twin-turbo boxer engine on the 911 Carrera models. This innovative engine kicks out up to 420 horsepower and takes you from 0 to 60 in as few as 3.9 seconds. 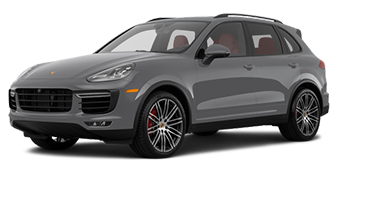 Opt for the available seven-speed Porsche Doppelkupplung transmission and enjoy smooth gear changes that don’t interrupt the flow of power. There’s even a manual mode for when you want a more controlled, dynamic ride that’s perfect for any thrill-seeker. With available All-Wheel Drive and Porsche Traction Management, the Porsche 911 offers superior handling and performance across a variety of road conditions. PTM varies the amount of force distributed amongst all four wheels so you’re only using all-wheel drive when needed. Maintain tight control around corners or across uneven surfaces with the Porsche 911’s Porsche Stability Management system. The system monitors driving conditions and initiates strategic braking of individual wheels to keep you on your intended track. Opt for the Porsche Ceramic Composite Brakes on the new Porsche 911 and experience optimized braking performance. These brakes provide shorter stopping distances, even in racing conditions. It’s time to take your morning commute to the next level in the new Porsche 911. 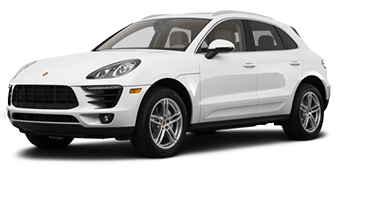 Equipped with the Porsche Communication Management system, you’ll stay connected no matter where the road takes you. Sync your mobile device and answer calls or text messages hands-free. Or take advantage of the available Burmester® High-End Surround sound system to blast your favorite playlists. These are just a few of the ways Porsche designed the 911 with your needs in mind. The new Porsche 911 embraces its race car roots, with its multiple engine options. Go from 0 to 60 mph in as few as 2.9 seconds, courtesy of its six-cylinder boxer engines that delivers up to 700 horsepower. Put the pedal to the metal and leave the rest trembling in your wake. Experience this legendary performance car for yourself today, by scheduling a test drive of the new Porsche 911 with Porsche Rochester.